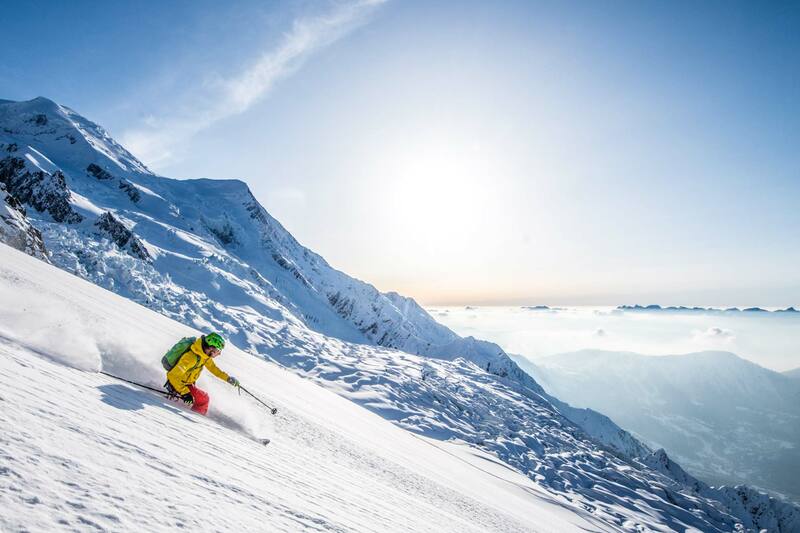 For a lot of skiers, the Alps are a fantastic playground with huge potential for fun, but for some, it is more than that, it is a place where they can put into practice their dreams of extreme sporting feats. 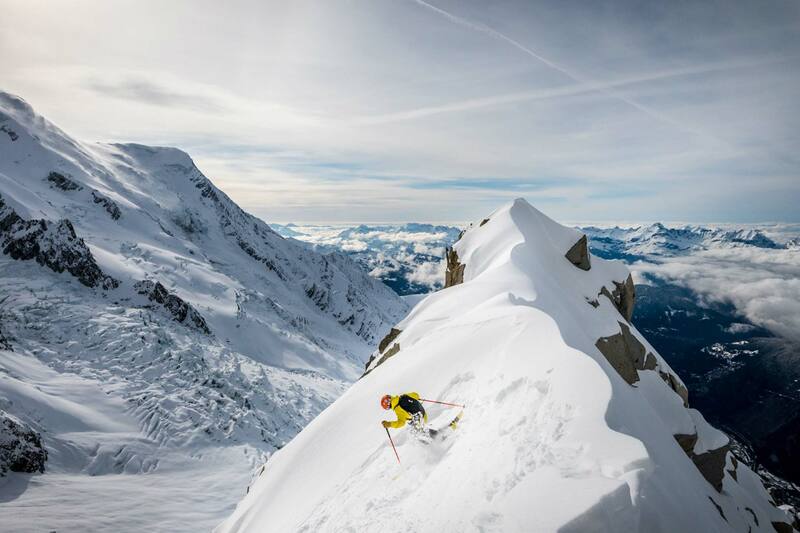 For many years, the Alps have witnessed the incredible accomplishments of extreme sporting pioneers such as Sylvain Saudan, Pierre Tardivel, Anselme Baud, Patrick Vallençant to name just a few, skiing down numerous steep lines and always pushing the limits further. Today, we offer you the opportunity of following in the steps of these pioneers, guiding you down major itineraries that made the Alps the cradle of this philosophy. Courmayeur 30 minutes from Chamonix. Because these heliskiing itineraries require stable snow conditions, you will either need to be flexible enough to make a last minute decision, or organised enough to plan a trip that takes into account bad weather days so you can make the most of the perfect windows! 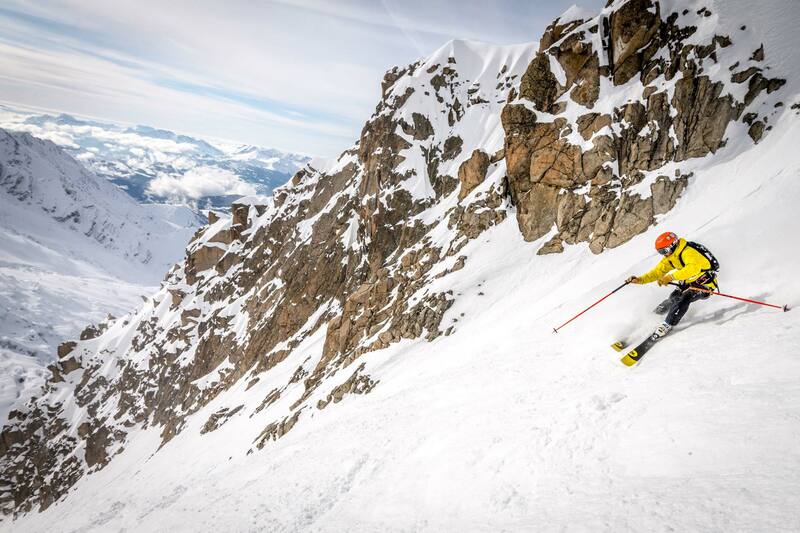 After the helicopter drops off the skiers, it is sometimes necessary to approach certain couloirs skinning up or using crampons. 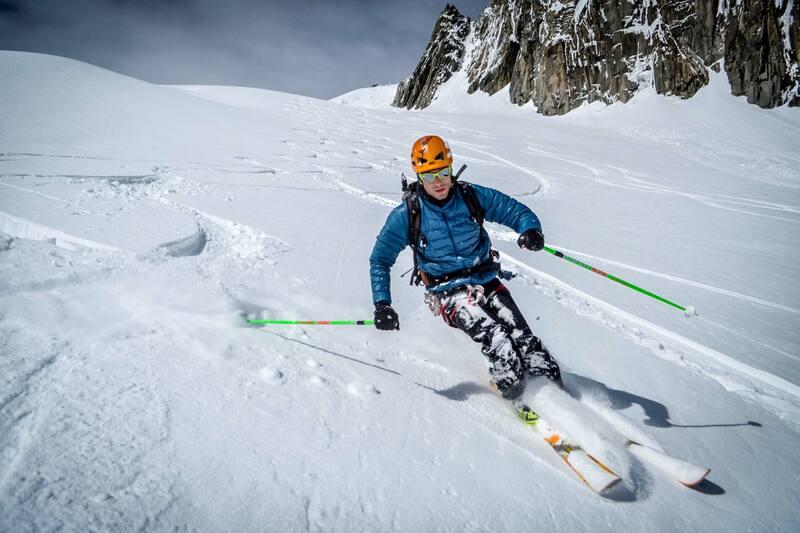 Given the high exposure and risky character of the descents, one of Heliski-Alpes’ guides will previously take you skiing one of the steep lines of the mountain range for a day in order to get to know you and make sure your technique and fitness levels are up to it! Feel free to have a look in details of our entire offer from different drop areas.